Do you ever read your fellow Jellies' profiles? Or do you just follow them based on their answers? When I am curious or interested. Often I am disappointed in either the lack of information or entries that really belong in a personal diary. I do if it is a new user that I become interested in based on their answers. 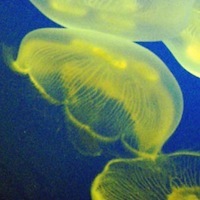 I have read some fellow Jellies profiles on different occasions, yes. I’m just naturally inquisitive I suppose. Like @Scooby above. And I follow some Flutherites based on their answers. Fairly often. An answer will make me wonder where that person is coming from, and so I might check their profile. Unfortunately, there is usually little there. I have to start reading their questions and answers if I want to really get the information I need. Usually I don’t have time for that. If their answers pique my interest, I will check out their profile. Don’t do it on a regular basis. Yes! I’m a people person and enjoy reading them! Yes I do look sometimes. Half the time I look because I refuse to wear reading glasses and can’t tell what the darn avatar picture really is. Clearly I need to grow longer arms. By the way, have you noticed many avatars look very different when viewed from long distances? Yes, whenever a person interests me or when their avatar looks interesting and I want a better look. I dare you all to read mine. Weird, I just had a similar conversation with someone this morning. Yes, I read profiles. There are only one or two that I check regularly, but I do try to glance at someone’s profile if I haven’t met them yet. Gives you a little bit of a feel for who a person is. Yes, I frequently come across questions or answers that make me curious about the user, so I look them up. @Scooby Are you talking about “The Game” that will only end if the Prime Minister of Great Britain gets on national TV and says “The Game is over.”? If you are, I actually know what you’re talking about! Lol, this doesn’t happen very often! But, yes, I read people’s profiles if they say something that interests me, or if I just can’t figure out what their profile pic is. It happened all the time with Wundayatta’s old pic. I could never remember what it was, and I was always going “What in the world is that?! Yes, I read at least one every day I am online. The people of Fluther are fascinating and good, and it’s interesting to learn a bit more about them. I like to read many of them. I just wish more users would take the time to introduce themselves. @TheOnlyNeffie Loved that slam poetry link! I just posted it on facebook. I see no cupcakes… what did I miss? I had a picture of the cupcake ornaments that I made with a friend up as my avatar pic. Yes I do..I follow them sometimes based on their profile but most of the time on their answers. If I’m added to a Fluther, recieve a pm or engage in a lively debate/discussion with someone. Sometimes, yes. But very often there’s only little information. Which award do you have the most of? Any pros or cons on the new profiles? How Do You Make Changes with the New Profile Pages? While exploring the new and improved profile pages, did you learn anything new about yourself or other jellies? How does the "fields of expertise" function update?